SAINT PATRICKS DAY WALK TO SLIABH na mBAN. The Club made its annual trek up to the fabled Sliabh na mBan on Saint Patricks Day. 26 walkers reached the top of the mountain and sang " Sliabh na mBan as hailstones fell on them. When the hailstones stopped a group photo was taken. Then they made their way down and headed for Kilcash Castle where they gorged on chicken drumsticks, sausages and delicious cakes and buns. All washed down with hot coffee and tea. After the picnic they retired to the local pub for further refreshments. The venue for the annual September getaway has changed and we are now going to Tenerife. You can get information about the holiday from Tony Fitzgerald (087 2588171) or from the web site. The walk will be held on Sunday August 2nd. The departure time from Dungarvan will be published nearer the date as it all depends on the tides. Don't forget to wear old walking shoes and a change of clothes. It can get muddy. A very warm welcome to the staff and students of MERCYHURST COLLEGE, ERIE, PENNSYLVANIA, some of whom joined us on a recent walk. Dungarvan is twinned with the town of Erie and each year students and staff from the faculty come here to study and take in the sights. Lets hope they enjoy their stay with us and will come along on more walks. FOOD FESTIVAL WALK. SATURDAY APRIL 11th. THE KNOCKMEALDOWNS. Travel with your own transport from the meeting point to the Vee. (approx 30 minutes) and then enjoy being guided by Dungarvan Hill Walking Club on a scenic route, overlooking 4 counties. ROUTE. Circa 7 kilometers. Approx 4 hours. Boots and wet weather clothing essential. Feel free to bring a packed snack and water. Each walker under 18years must be accompanied by a parent or guardian. Not suitable for under 14 years. Meeting Point for the B & C walks will be opposite the Park Hotel as the TSB Car Park will be very busy due to the Food Festival. 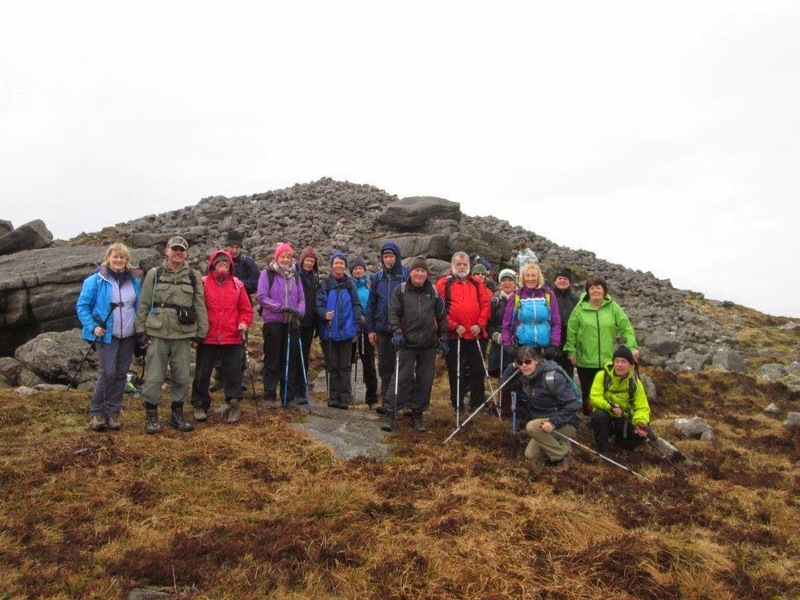 Dungarvan Hill Walking Club promises fitness, friendship and FUN. Visit www.dungarvanhillwalking.org for more information. REMEMBER. NO BOOTS, NO WALK.